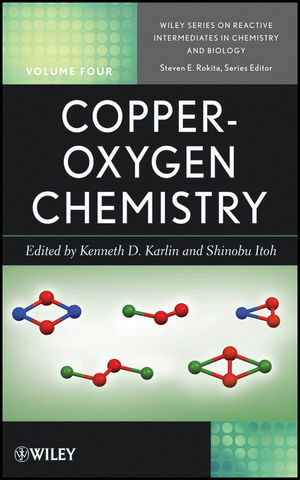 With thorough coverage by prominent authors and researchers shaping innovations in this growing field, this valuable reference is essential reading for bioinorganic chemists, as well as organic, synthetic, and pharmaceutical chemists in academia and industry. Kenneth D. Karlin is Ira Remsen Professor of Chemistry at Johns Hopkins University. His bioinorganic research focuses on coordination chemistry relevant to biological and environmental processes, involving copper or heme (porphyrin-iron) complexes. Dr. Karlin's main approach involves synthetic modeling, i.e., biomimetic chemistry. He is the winner of the prestigious F. Albert Cotton Award in Synthetic Inorganic Chemistry and the Sierra Nevada Distinguished Chemist Award, both awarded in 2009. Shinobu Itoh focuses his current research on chemical modeling and application of novel active sites in biological systems. He was formerly an assistant professor at Osaka University, where he worked on the chemistry of coenzyme PQQ and cofactor TTQ as well as model compounds of galactose oxidase. In 1994, he was promoted to associate professor at Osaka University, where he collaborated with Professor Shunichi Fukuzumi in copper-dioxygen chemistry research. In 1999, he moved to Osaka City University as a full professor and started biological studies of dinuclear copper proteins, such as hemocyanin and tyrosinase. He returned to Osaka University in 2008 and further expanded his research interests to the design of artificial non-heme metalloenzymes using genetic engineering.